Separately, they’re all-powerful. Together, their power is limitless. 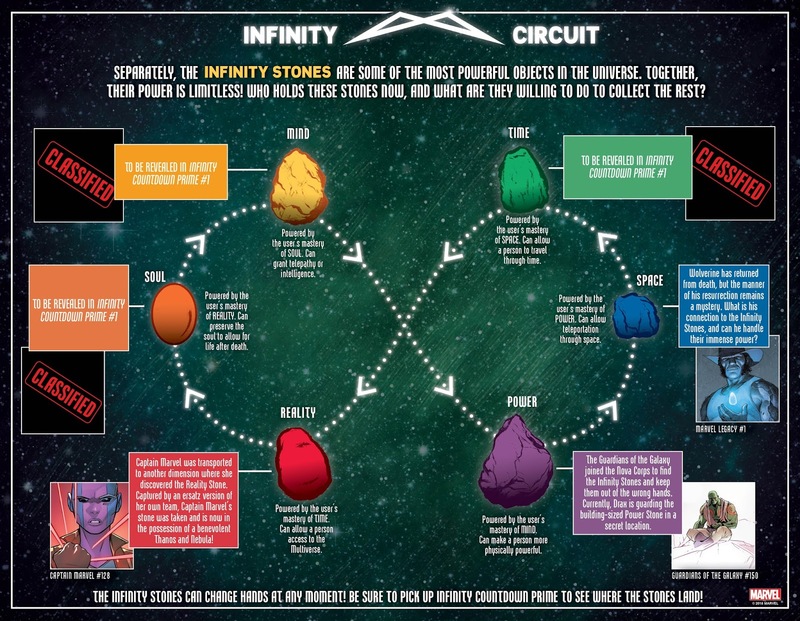 To help you prepare for the biggest Infinity epic yet, Marvel is excited to present INFINITY CIRCUIT: the guide that will make YOU the master of the Infinity Stones, just in time for INFINITY COUNTDOWN #1! 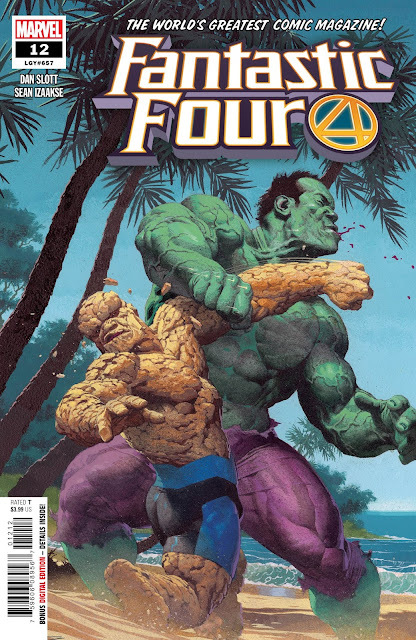 Nebula, Thanos, Drax and a Wolverine are currently in possession of some of the galaxy’s most powerful stones…but will they still be holding them in the end? As the race to collect the remaining stones gets underway, there is nothing our heroes will stop at to achieve unlimited rule over the universe! 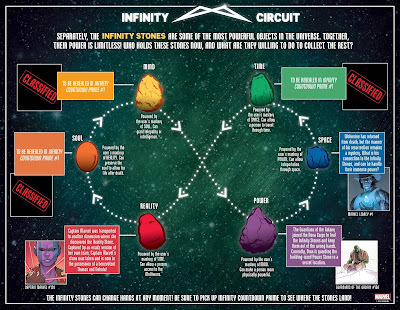 To keep readers on their toes, versions of this cosmic guide will appear in each issue of the series, updating fans on who holds the stones as the story progresses. 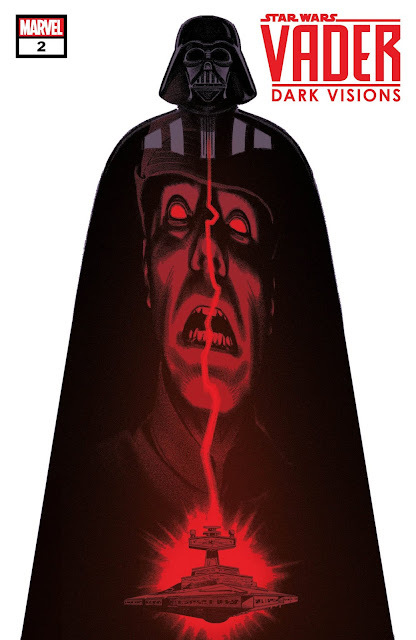 It all leads into the mega Infinity tale and battle that will change the balance of infinite power. Download Marvel’s INFINITY CIRCUIT today, or pick up a copy at your local comic shop and don’t miss out on all the action in INFINITY COUNTDOWN #1, coming this March!